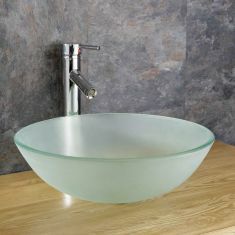 Click Basin stocks the UK’s largest selection of countertop basins. 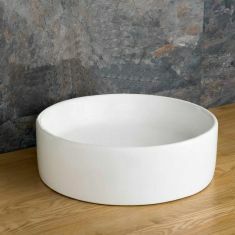 There’s no need to wait for weeks: they are ready, in stock, for next day dispatch with FREE DELIVERY. 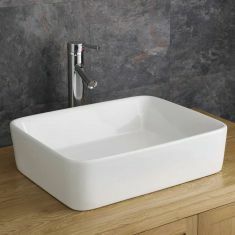 Choose from an unmatched range that includes clean white basins and stylish glass sinks in a variety of different shapes and sizes. Taps and plugs can also be included to make installation as convenient as possible. 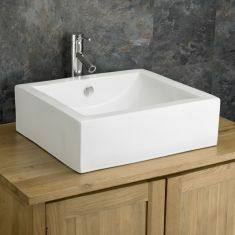 Why should you consider a countertop basin? 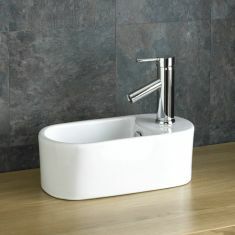 A countertop basin is for mounting directly on a level surface. 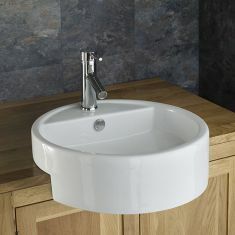 It can fit on top of a vanity unit, shelf or countertop. 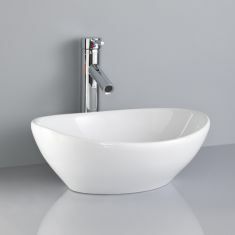 Each basin has a flat base to ensure an easy, seamless-looking mount and finish. 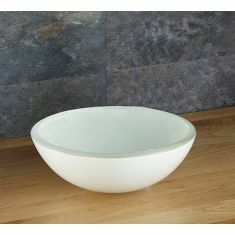 This range of products are also known as surface-mounted basins. 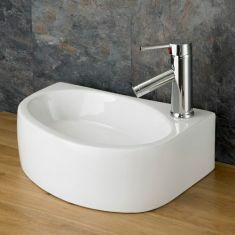 The great thing about countertop sinks is that they can work in just about any bathroom. 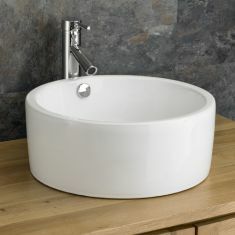 Simply choose the style that works best with the rest of your bathroom suite and enjoy its bold, contemporary look. 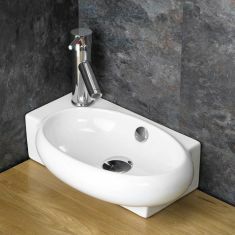 It is possible to install a countertop basin with either a countertop or wall-mounted tap, depending on your preference and the space you have available. 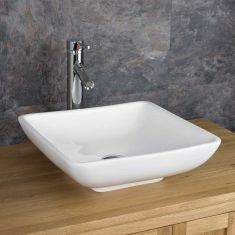 A wall-mounted tap looks very effective alongside one of our basins and has the added benefit of freeing up a bit of counter space. 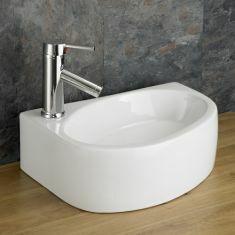 However, countertop taps still look fantastic and integrate well with the basin itself. It’s all down to personal taste! 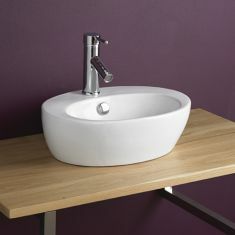 Whichever tap you choose, complete the look of the basin with a neat and effective pop up plug. 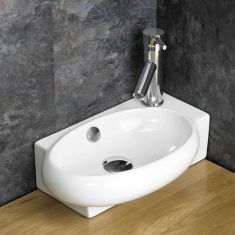 It’s the nicest plug to install with basins like these and will work seamlessly with the basin and tap. 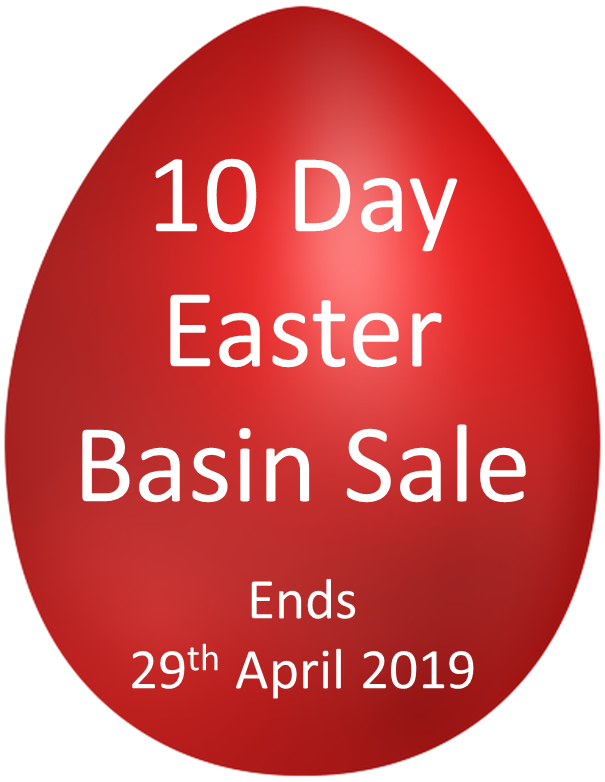 We sell all of our counter-mounted basins on their own or at a reduced price ‘All in One’ package which includes a High Quality Mono Mixer Tap and push-click waste plug. Simply choose one of the combined sets from the add-on options shown in each product to take advantage of this great deal. And remember, our delivery is completely free!